Singer/Pianist. Plays mostly Indie style music. Nice for background music or performance. Well-established piano-based singer songwriter performing mostly originals with a tasty covers sprinkled in. Keyboard players are a perfect choice for events of all types from corporate and community events, to birthday parties and weddings. They can provide a variety of sounds and styles of music. Electronic keyboards can synthesize unique sounds and multiple instruments, making it a great substitute for a full sized band. Keyboard players can provide a similar service as a piano player, but offer the convenience of portability that you can't get with a baby grand or upright piano. 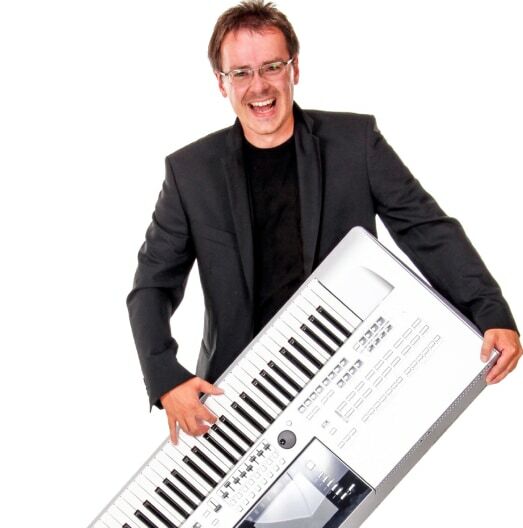 Search for Keyboard Players in Concord, New Hampshire above. Please note that these Keyboard Players may also travel to Loudon, Bow, Pembroke, Suncook, Chichester, Allenstown, Hopkinton, Boscawen, Dunbarton, Contoocook, Epsom, Canterbury, Pittsfield, Hooksett, Weare, Henniker, Gilmanton, Deerfield, Northfield, Salisbury, Candia, Barnstead, Belmont, Northwood, Warner, Franklin, Tilton, Center Barnstead, Gilmanton Iron Works, and Lochmere.